Would you believe that it is actually snowing outside, in Birmingham, in November? Madness! That means that <northern accent>Winter is coming</northern accent>, but don’t worry as we have enough board game news to keep you safe and warm in the long cold week ahead. We’ve got falling share prices, games based on TV shows and films, films based on games and an expansion announcement for a game that hasn’t even been released yet. Given the popularity and success of Black Mirror, it feels like this announcement from Asmodee to publish a board game based on the show has been a long time coming. In this game, based upon the Season 3 episode of the same name, players are attempting to maintain and increase their social status by collecting Lifestyle Cards but avoiding any negative ratings to their score. Nosedive will be released at the end of November exclusively (we are currently led to believe) at Target. River Horse recently announced their next project; Krowdfunder the game. In which, players will have to arrange pledges, stretch goals, add-ons, videos etc for their project and successfully fund. It’s a quick, light party style game that will feature a number of reviewers and content creators, possibly even the Top Gear of Tabletop*? 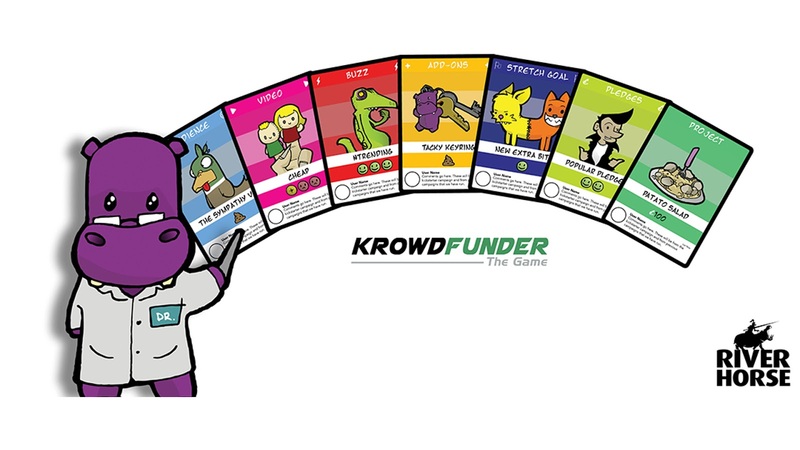 Unsurprisingly, Krowdfunder the game will be coming to Kickstarter in 2019. 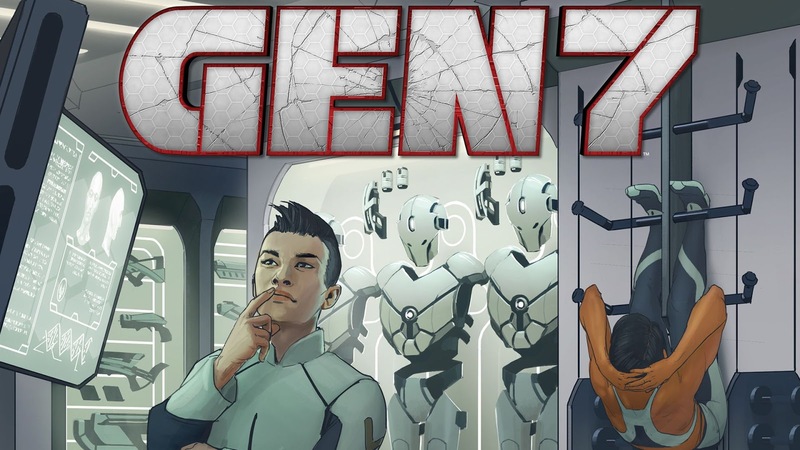 Plaid Hat Games have announced the first expansion for Gen7, their space odyssey cross-roads game, before the game itself has even been released. Gen7 is Plaid Hat Games' second game to use its Crossroads system and will see players managing a multi-genretaion spaceship that has been sent to travel the great empty void between stars. Breaking point adds two new factions, taking the maximum player count up to six, as well as introducing a competitive play mode and additional story elements. Pre-orders are available from the publisher’s website here. No doubt you’ve heard all about this Unique Deck Game, with its 104 quadrillion possible decks. And no doubt you've also heard about some unfortunate randomly generated names such as 'The Emperor that Pays for Boys' and 'Wang the Suddenly Bruised'. 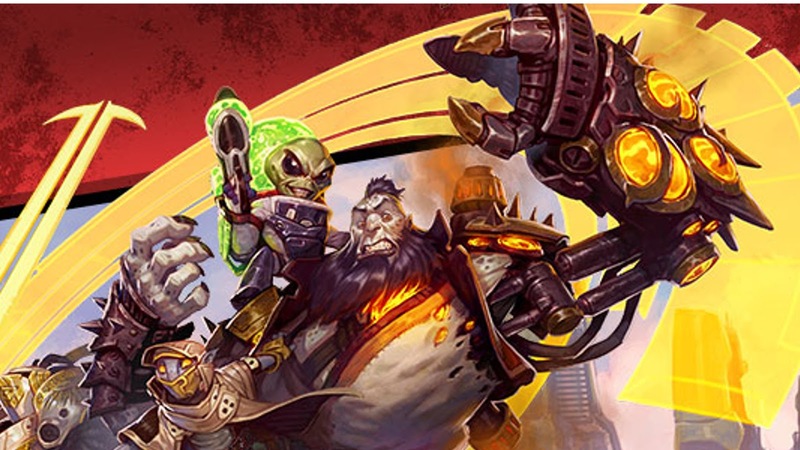 In case you haven’t, KeyForge is the brainchild of Richard Garfield and manufacturing genius of Fantasy Flight Games where each deck is completely individual opening a very fair playing field for tournaments, as players will just have to work with what they have been given, winning on skill (and a little bit of luck). Since the contents of each of the decks are visible the secondary market is already booming. One deck, the Absent King, sold on eBay for £1,652 due to having 2 sets of Four Horsemen cards in it. Some online retailers (Cool Stuff Inc.) are actually selling certain decks, such as Ainley, Tilliwich's Elder for $129.99 as it contains some fancy-pants-powerful cards. You'll note that this is just slightly above the RRP (by around 1206%). 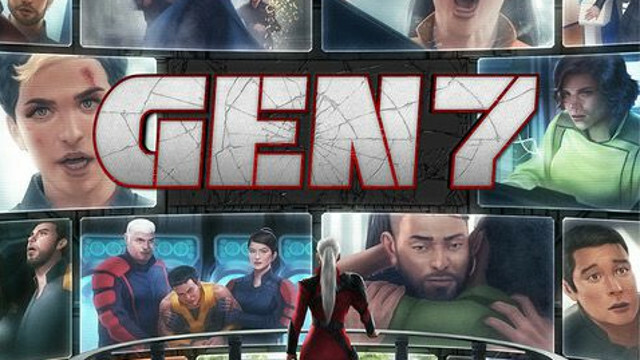 This is the game that was touted as the CCG for "Casual Gamers", what do you make of this? Let us know in the comments what you think. Steve got to play Keyforge at Tabletop Gaming Live and you can hear his thoughts in Episode 48 of the podcast. Errata has just been released for the three core Dungeons & Dragons books, Player’s Handbook, Dungeon Master’s Guide, and the Monster Manual. These core books are now entering their tenth printing with these little tweaks in place. For the most part, the errata explains some of the “stickier” rules and there have been some slight changes to ‘Polearm Master’ feat, the 'Beast-Master' Ranger subclass and 'Brown Bears' for Druids. The game that just keeps giving has now delivered yet another spin-off! 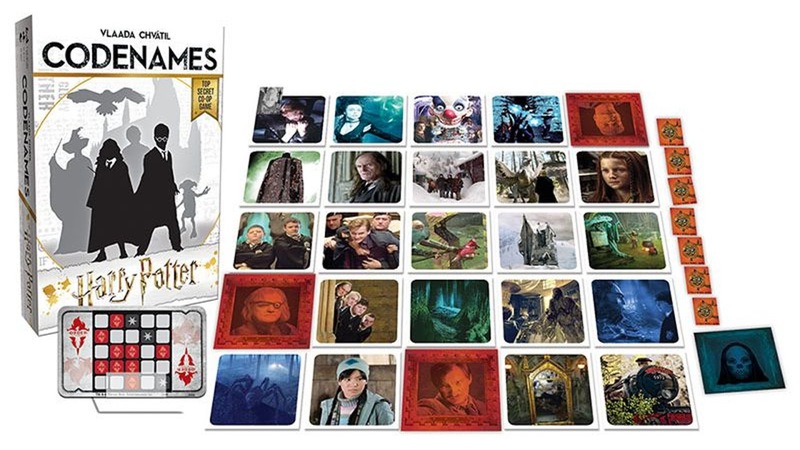 Harry Potter Codenames is out now (from USAopoly so folks in the UK will have to pay in excess of £35 for it) so this Christmas you can baffle and delight your family and friends with utterly obscure clues that only a true Harry Potter fans would get. 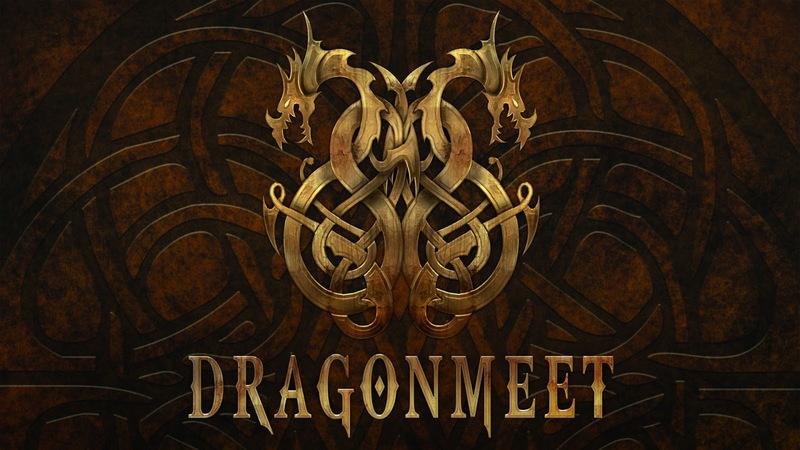 Dragonmeet is coming! Saturday 1st of December at the Novotel, Hammersmith, London. A 1-day tabletop convention that over the last few years has grown significantly. RPGs are always heavily represented at this con, as too are miniatures games but board games are there in force too. 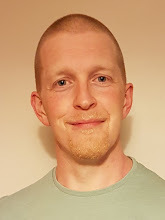 With a dedicated Playtest Area run by Playtest UK, a Bring & Buy, opening gaming as well as a heap of demos and even a couple of talks Dragonmeet a convention I always try and get to. Tickets are £10 in advance of £12 on the door. See you there! 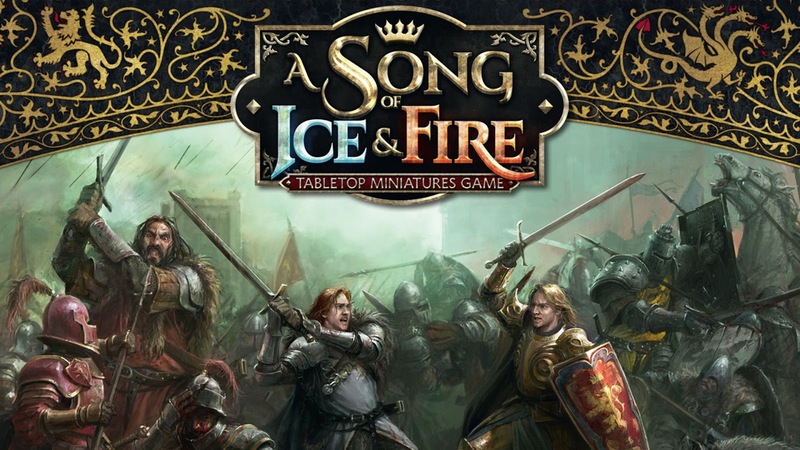 It seems CMON have had a rough year, with increasing fixed costs, increasing marketing costs, specifically the costs associated with attending conventions along with some Kickstarter campaigns performing below expectations - we're looking at you Song of Fire and Ice: TMG! This all has caused a fall in revenue of 32.6% from $17.5 million for 2017 to $11.8 million in 2018. Stocks in CMON are now down by 30.4% from the same time last year. What this means for the publisher is unclear at the moment, but as soon as we know, you'll know. 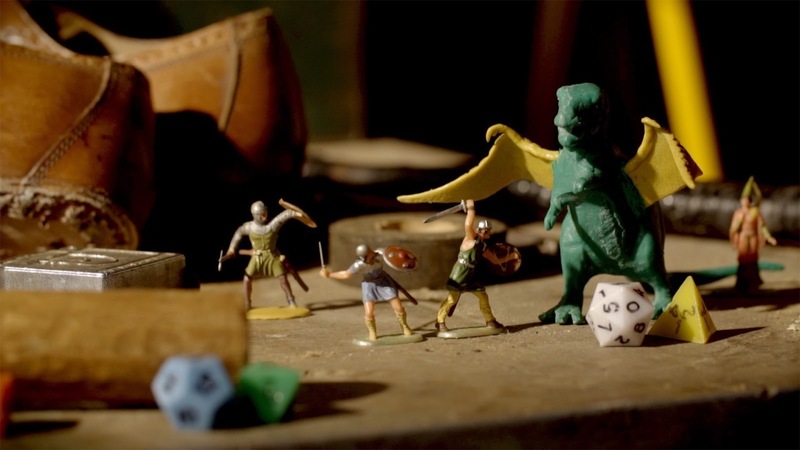 $118,687 from 1,848 backers on Kickstarter have secured the production of the Gary Gygax documentary. “Gary’s work has woven itself into the fabric of our culture, yet there is no monument to recognise him, not even in his hometown. We intend this project to be a filmic monument of sorts” Much of the filming of interviews has already been completed, the campaign was to maximise the production quality of the documentary. Backers can expect their rewards from April but I expect this project to garner far more attention once it has been made by the gaming community. If you’re a fan of Portal Games and saving money on additions, expansions and promos then the Loot Box they’ve cooked up could be right up your street. 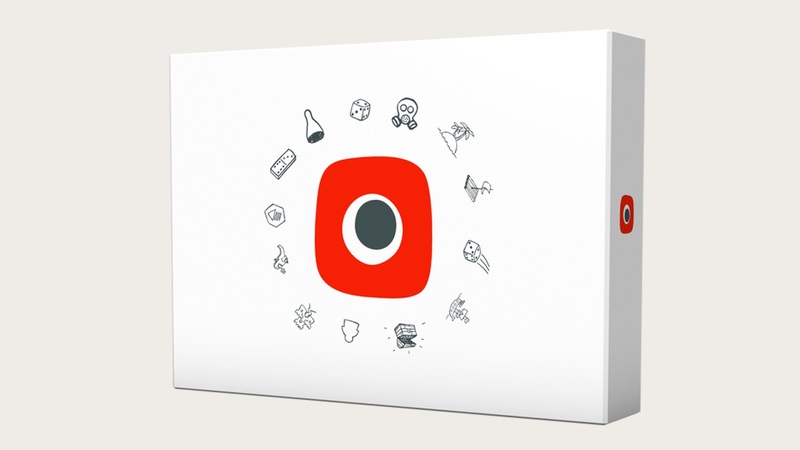 Only 500 Loot Boxes were created, each with the same contents, which provides promos, mini-expansions, and gadgets for 6 of their games: Robinson Crusoe: Adventures on the Cursed Island, Alien Artifacts, Imperial Settlers, 51st State, Neuroshima HEX! 3.0 and Cry Havoc. Everything in the box will be released in 2019, but the Loot Box ships in December, so you can get it early and get it cheap. Want to know more? Here’s the link to the Portal website for the full details? This month’s Unearthed Arcana introduces new rules in D&D for sailing and ships. Focussing mainly on seaworthy vessels the new rules introduce ship stats in a very similar way to playable character sheets, including their own Constitution, Armour Class and Dexterity - Charisma and Wisdom are unsurprisingly absent from the new sheet. The Toy Association have released their nominees for the Best Board Game of 2019. Now, this isn't an accolade for the deepest heaviest Euro, this is part of the Toy Foundation - a charity "which helps bring joy and comfort to children in need through the experience of toys and play", so while you're casting your vote for Game of the Year (including titles such as Villainous, Dr. Biscuit's Radical Road Trip and Fryin Flyin Donuts) you'll be helping raise awareness for a great cause. Well done you! Over on BGG nominations are now open for the various categories that make up the most anticipated games for 2019. The nominations close January 5th 2019 with voting open the following day. I predict that 2019 is going to be a great year for games, especially given the slew of great Kickstarters that are set to deliver. If you've got any hot tips about games that should be on our radar here at Collider Towers be sure to let us know in the comments! Big City: 20th Anniversary Jumbo Edition from Mercury Games, is the 20th-anniversary reprint of Franz-Benno Delonge’s classic city builder. On the back of the very successful Container 10th-anniversary campaign comes the bigger, blingier version of the game that is basically Sim City the board game. And that is awesome. Downlink: The Game of Planetary Discovery from Xtronaut Enterprises is a space exploration game designed by Dr. Dante Lauretta, the leader of the NASA OSIRIS-REx mission. The Forest Dragon: Bang & Twang is the second game in the Forest Dragon series designed by now 11-year-old Rory Hodgson, younger brother Ben (8) and their Dad, Jon. Their first game (designed solely by young Rory) was nearly 1000% funded. It may not be the best game ever, but it takes Kickstarter back to what it was originally for and supports a young designer's dreams. Go, Rory! Rallyman GT is the revised and fully-pimped-out version of the roll and move 'classic' Rallyman by Jean-Christophe Bouvier. The game is fully funded and is racing through stretch goals currently.